We share this Community Outreach Resources and Education (C.O.R.E) information because we don’t believe one should have to go to a church to get help when one is struggling. *Note* Not of all of these links have been vetted beyond that the services are either independent of any sectarian church or are government provided. Services can and do vary by agency. Secular Organizations for Sobriety (SOS)– a network of autonomous, non-professional local groups, dedicated solely to helping individuals achieve and maintain sobriety/abstinence from alcohol and drug addiction, food addiction and more. Secular Alcoholics Anonymous – information and meeting listings for non-theistic verison of AA. AA Beyond Belief – regular meeting in Toledo based on the Alcoholics Anonymous model without the religious part. 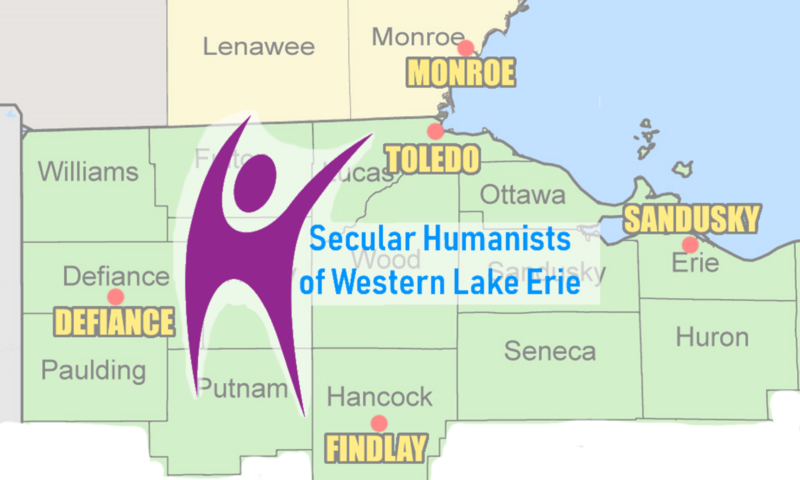 EqualityToledo – works to eliminate discrimination in our region based on sexual orientation, gender identity, and gender expression through education, activism, and other anti-defamation efforts. Also has a community food pantry. The Cocoon Shelter – Located in Bowling Green. Exists to provide safety, healing, and justice across the lifespan for survivors of domestic and sexual violence, their children, and all of those affected by abuse. Neighborhood Health Association – puts health within reach of all community members, regardless of the ability to pay, through equal access to quality medical care and educational and support services essential for well-being of body and mind. Ohio Job and Family Services – One stop place to find government provided social welfare services. PathStone – not-for-profit community development and human service organization serving Indiana, New Jersey, New York, Ohio, Pennsylvania, Puerto Rico, Virginia, and Vermont. The Brown Bag Food Project – a local non-profit that seeks to address issues of food insecurity in Wood County, Ohio. Sylvania Area Family Services – organized to provide support services that strengthen families in the greater community. FOP Food Pantry – The food pantry operates monthly on the third Wednesday of each month. The gate opens at 11:00 a.m. and food distribution starts at 1:00 p.m. and runs until 3:00 p.m. We also provide emergency baskets as needed. Food baskets are distributed on a first come, first served basis. Legal Aid of Western Ohio, Inc. (LAWO) and Advocates for Basic Legal Equality, Inc. (ABLE) – non-profit regional law firms that provide high quality legal assistance in civil matters to help eligible low-income individuals and groups in western Ohio achieve self reliance, and equal justice and economic opportunity.